I mean, they are not BIG deals. There are worse things to deal on a working environment, that are common. Bad salaries (and ridiculously low raises), mean coworkers, being forced to use software you don’t want to use, no support (RTFM as the universal response for everything)… The list can be very long, and I’m sure that every worked had to deal with these or other problems. But why do you feel that bad about those minor, stupid problems? Why such a minimal inconveniences hurt you in a personal level? Probably because they are perceived somehow as an attack and lack of confidence. And that makes people very nervous and upset. Here’s the story about management. The rule number one of management is Thou shall not demotivate. Ideally, it should be about motivation, but that’s too long down the road. The sad true is that it is extremely easy to do stupid moves that can have a relatively big impact in the morale of the team. 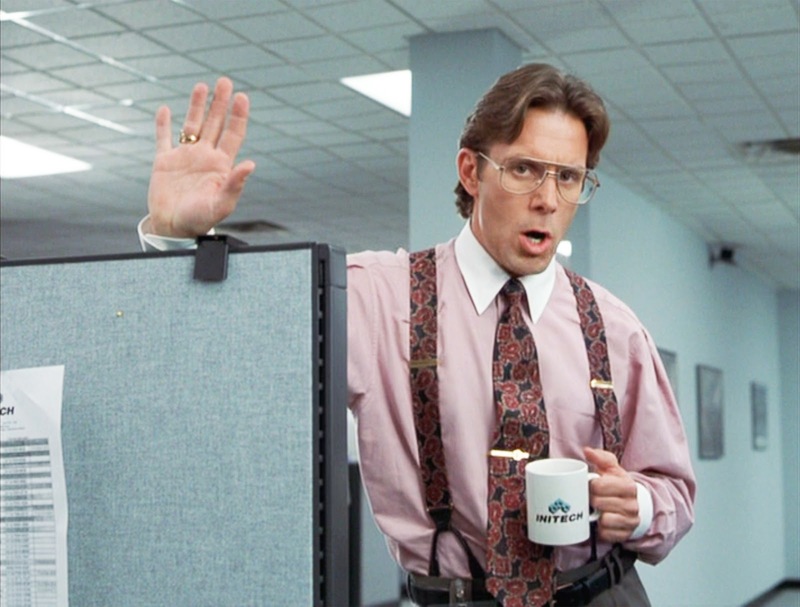 Yeah, If you can take no more than one coffee each morning, mmm, that’d be great. A common pattern: the Team is working reasonably well, no obvious problems on their part. And, of course, Manager SHOULD do something. You know, because Manager must leave an imprint and, well, manage. Be a Leader and so. Then, Manager finds out a small thing, probably just because of boredom. And, as it’s the only incident on sight, Manager takes it as a sign. “If I leave this be, soon all will be chaos” So, Manager decides to have a word with Team Member (maybe even with the whole Team). And gently, but firmly, gives a cease-and-desist order. “Hey, remember that what your doing is Wrong. I am with you, but this Company does not tolerate that kind of behaviour. It will be awesome if you stop it”. And then, when Team Member leaves the room, Manager breaths and feels like Chaos is Under Control and Everything is OK Now, probably forgetting about the whole incident. But Team Member feels really bad. “Is that really a problem? What happens with X, Y and Z, that are Real Problems? What about Other Team Member? I think is doing something very similar, but I can’t see any effect”, and decides that this is Just a Job, and it’s not worth working really hard. And maybe the next recruiter email is looked in a different, more favourable way. I think that’s why all those posts about sodas not free anymore rings so deeply. Because they are the way of a manager (being upper management or just middle management) to say “I’m going to cause an inconvenience to you, for no particular reason other than feel good to myself” Everyone get the problems. The things that are important. That really cost money, or time, or are a pain. And those are part of the job. But the minor, stupid offences that are just a way to remind the workers who’s on charge. That the Overlords are the ones making the decisions, and all those words of “our most valuable asset is our team” are empty. As with any other action, I think that those kind of problems deserves a small though about if they are worth the hustle. Is it worth to bother someone with this small thing, or it is an opportunity to just set that someone angry? If it is, it’s probably best to leave it be, or work around it. But minor damages just hurt, and makes people to be vengeful, probably at the worst moment.